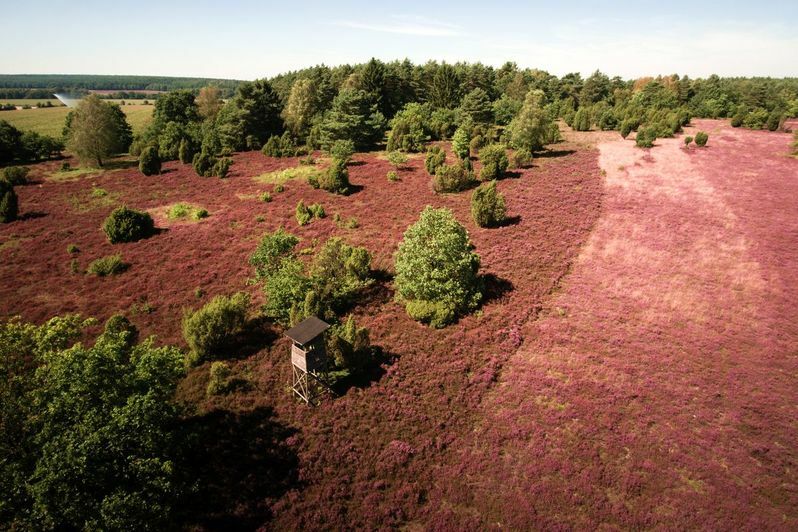 A particularly attractive heath area can be found on Schillohsberg between Lutterloh and Neulutterloh south of the K17. 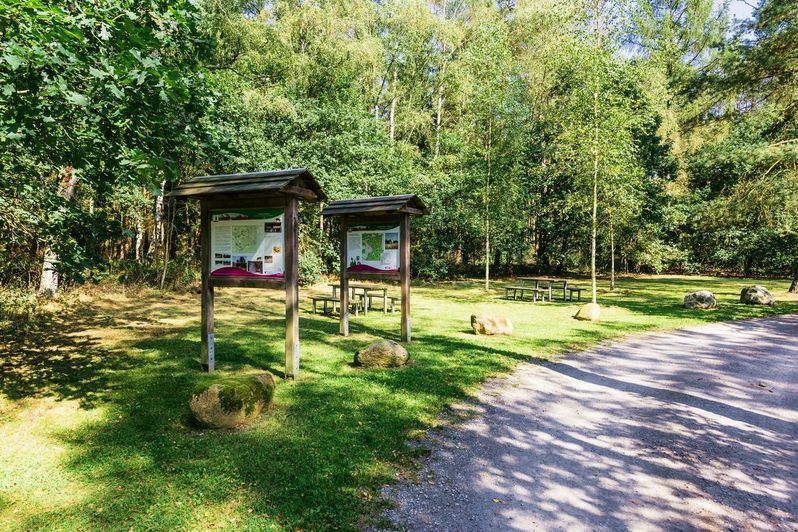 The car park is located one kilometer behind Lutterloh in the direction of Unterluess on the left of the K17 road. 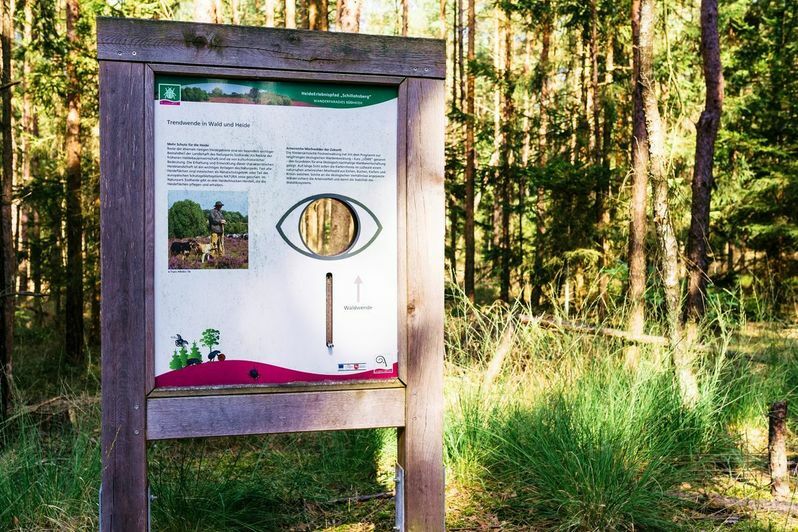 There is also an information board about the Heide Adventure Trail Schillohsberg. 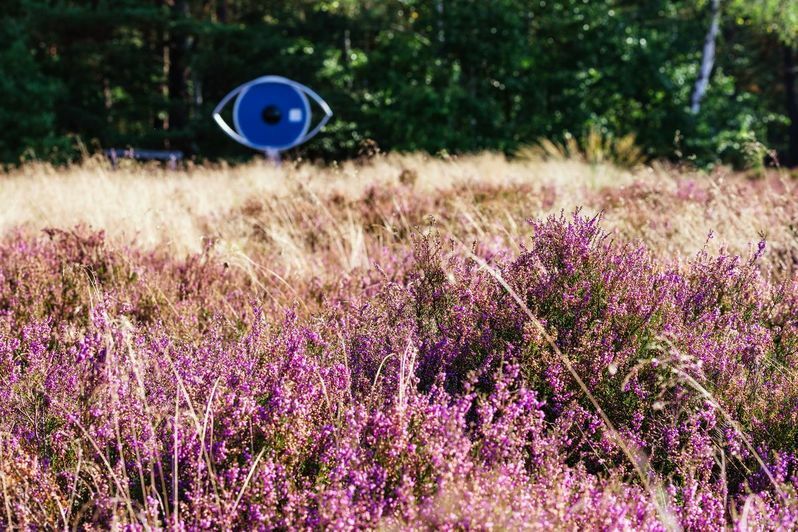 The heathland lies on the opposite side of the road. 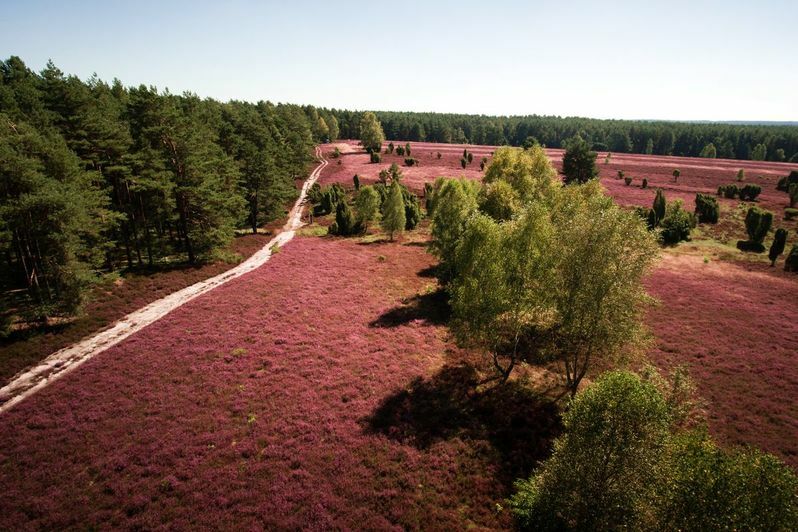 It belongs to the nature reserve "Luessplateau Central Heathlands" in Suedheide Nature Park that has been in existence since 1995 and covers a total area of ​​around 293 hectares. 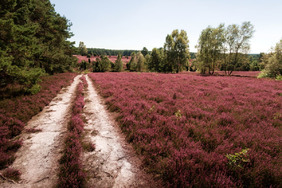 The heath area on Schillohsberg offers the hiker a wide view to the southwest over the surrounding woodlands and fields. 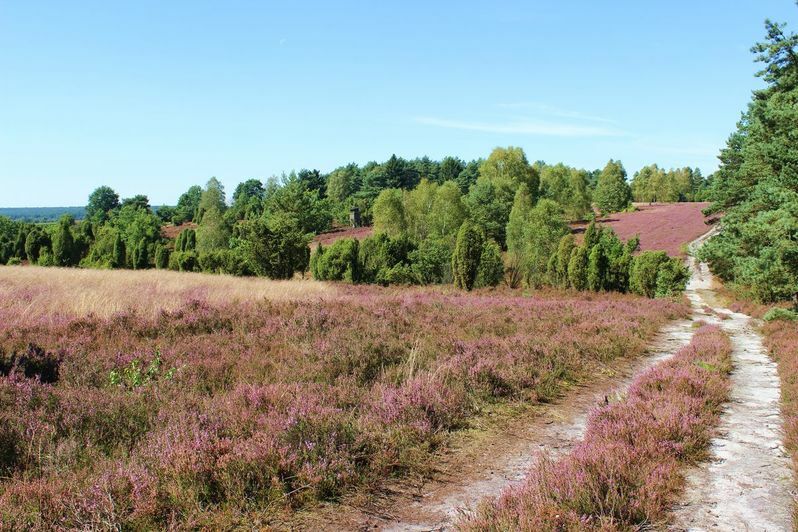 Schillohsberg is part of a terminal moraine of the penultimate Ice Age, the Saale Ice Age, which reached into the Lueneburg Heath. 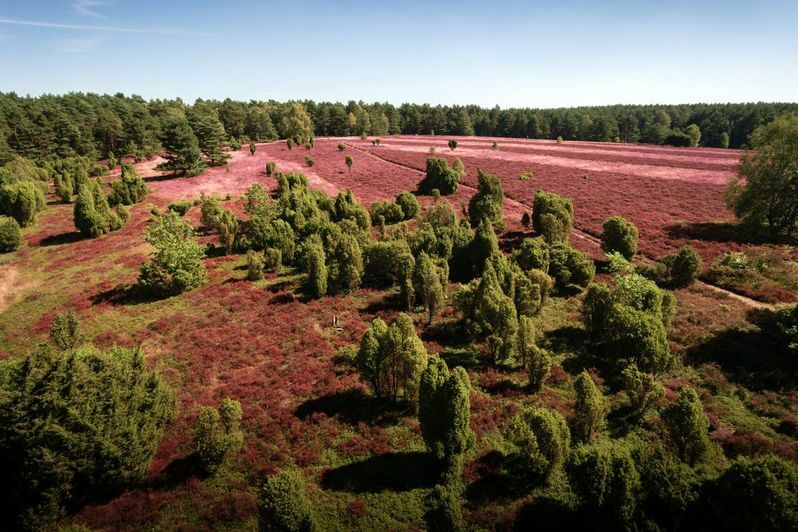 The undulating surface of the heathland, interspersed juniper groups and individual birches repeatedly reveal interesting perspectives with picturesque spots of heather. 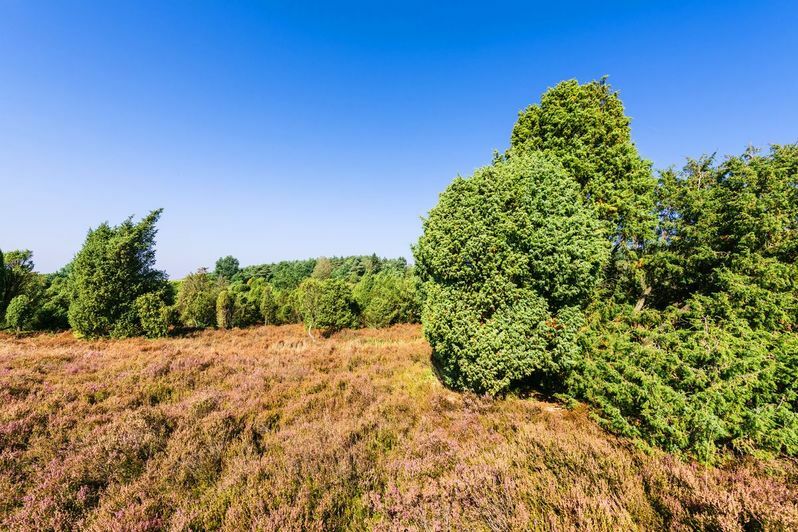 At the northeastern edge of the forest stand gnarled old pines from bygone days, when the heathland still had far larger proportions than today. 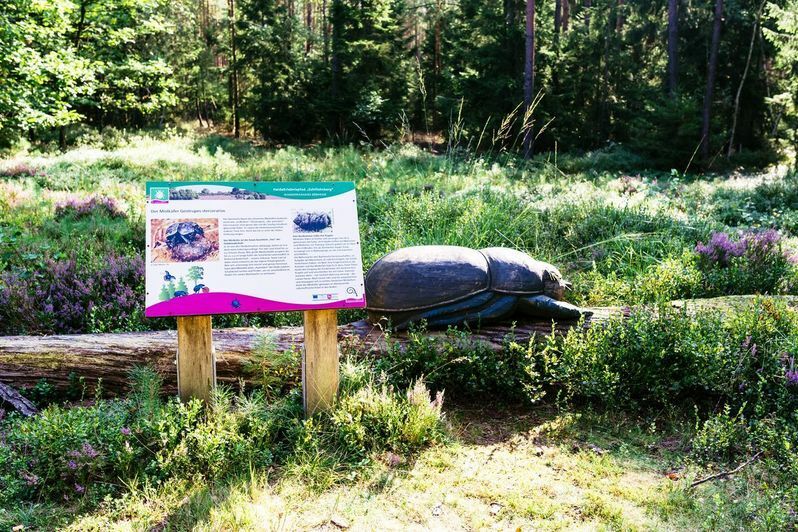 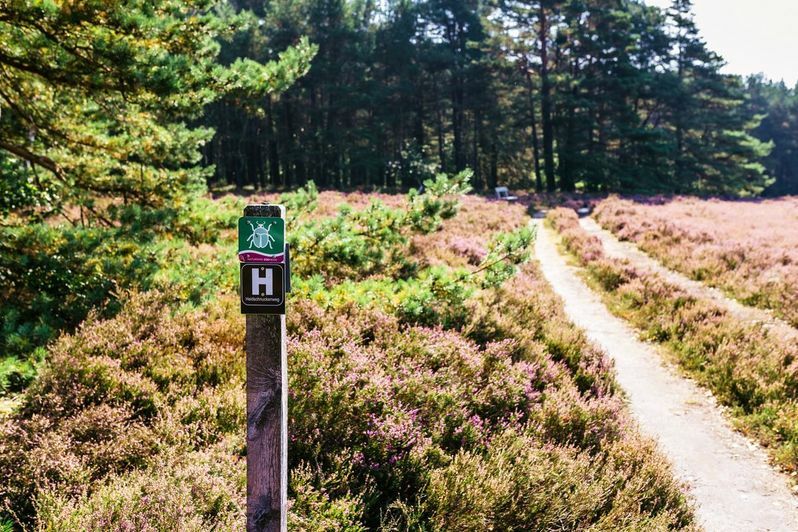 The Heath Adventure Trail Schillohsberg, which runs through this area, picks up on six interesting points of the development of the heathland at six stations. 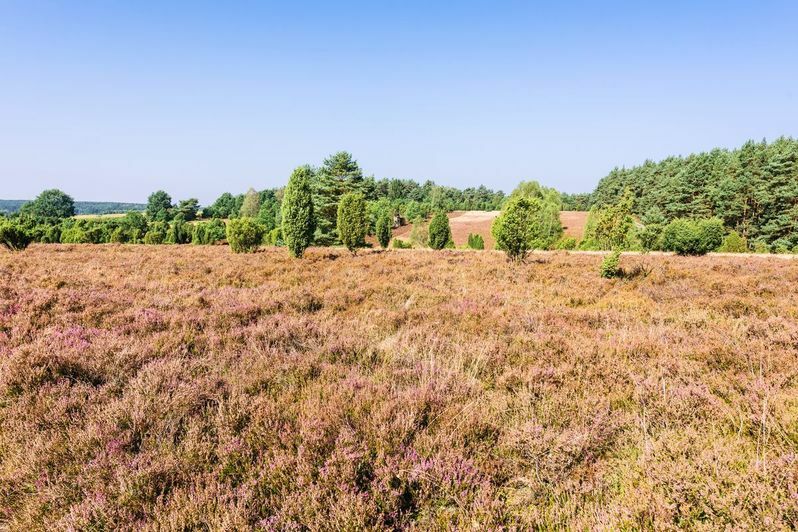 The broad profile of a typical heathland soil known as podzols (or spodosols) are especially worthy of mention. 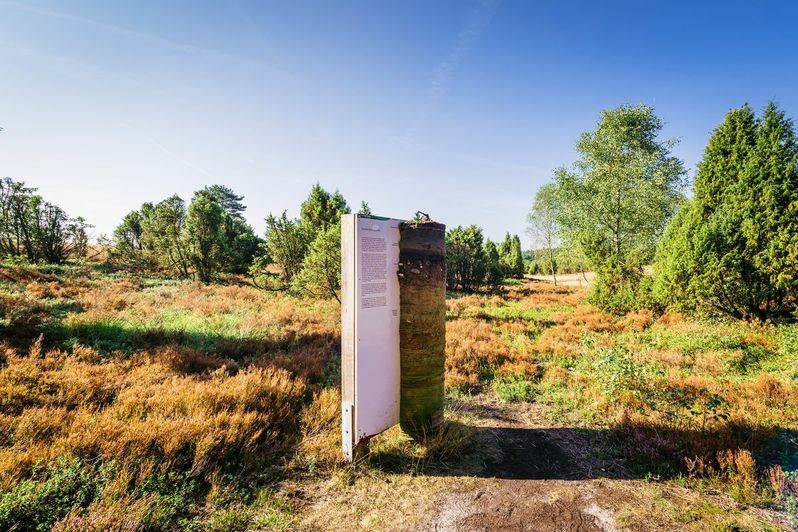 The trail boards explain it in detail and illustrate the situation of the heath’s dry, nutrient-poor soil. 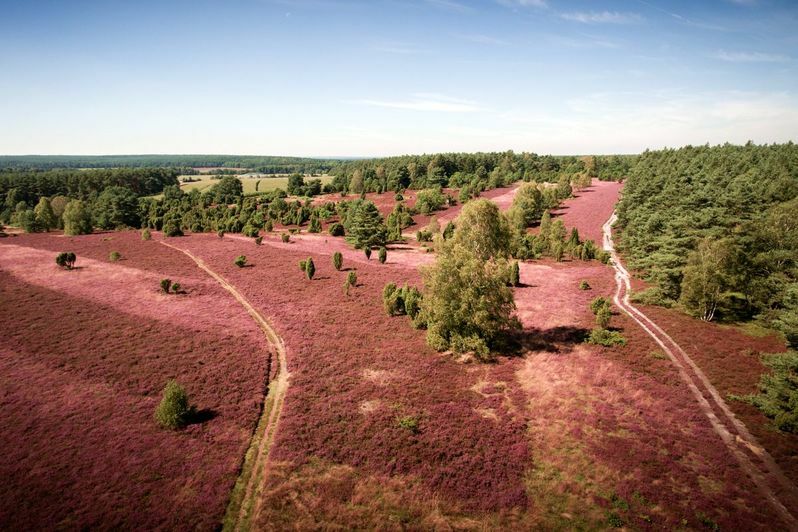 The long circular route of the hiking area "Gaussian surveying points in the mountainous country of the Suedheide" leads along the Südheide Nature Park, close to the southernmost point of the heath. You can also reach the heath area from this hiking area by taking a short detour. 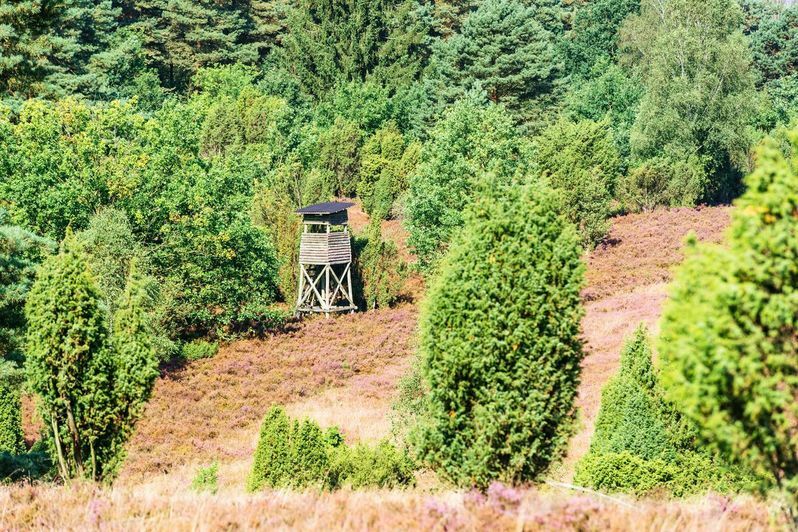 The Heidschnuckenweg, or Moorland Sheep Trail, also leads through this area. 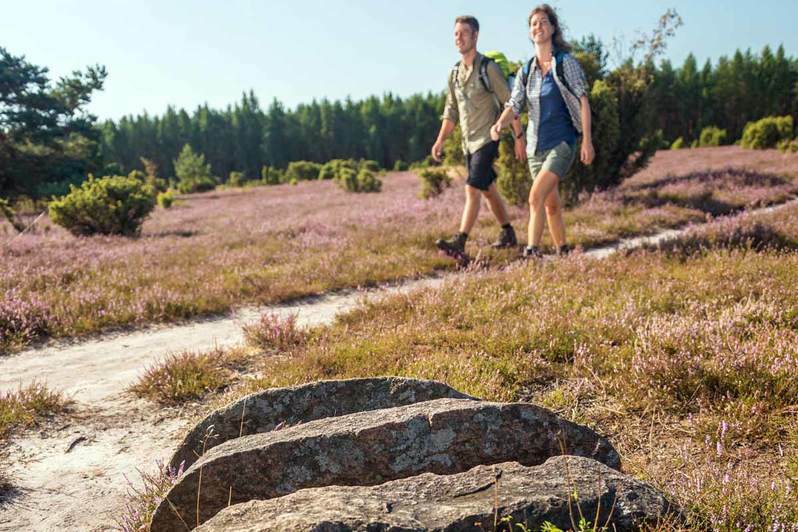 In 2014, the quality hiking trail was voted Germany's most beautiful hiking trail by the readers of "Wandermagazin”. 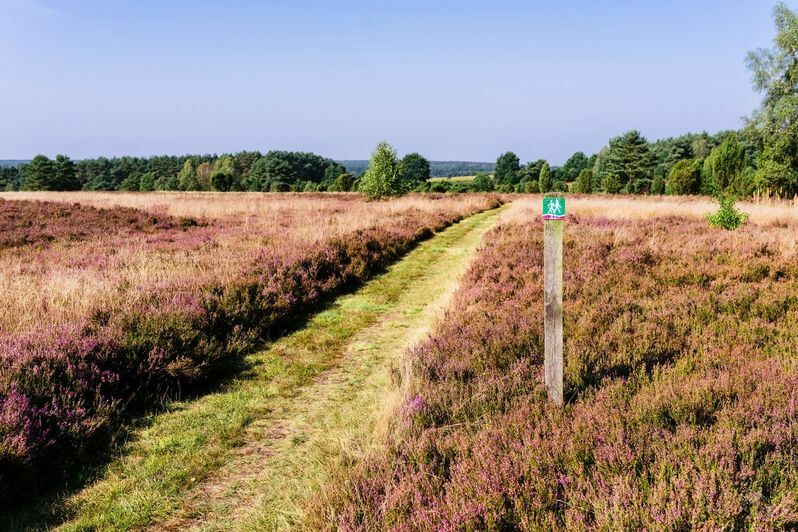 The trails through this area can be found in the section "This may interest you ". 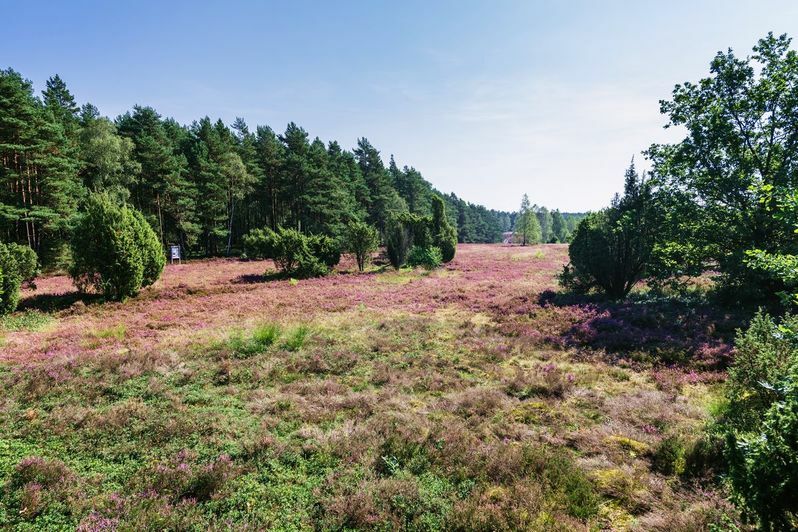 The heathland at Schillohsberg is an absolute hiking tip even outside the heather season. 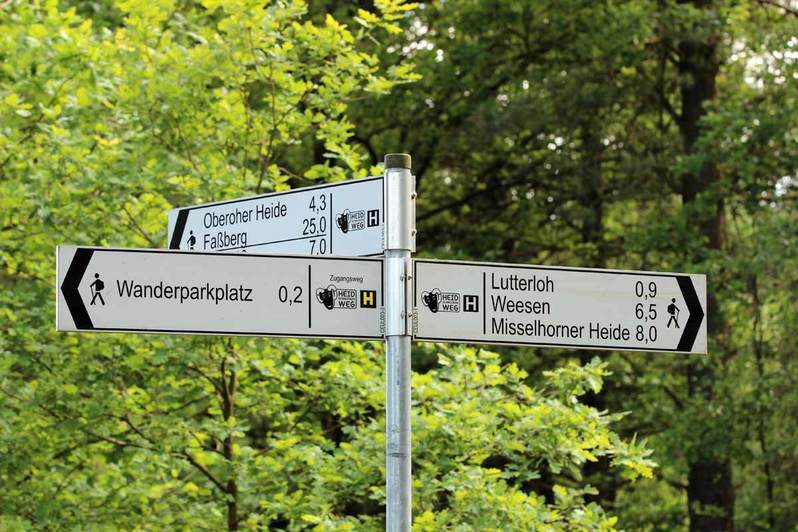 The car park at Schillohsberg can be reached via the K17 driving from Hermannsburg towards Unterluess. 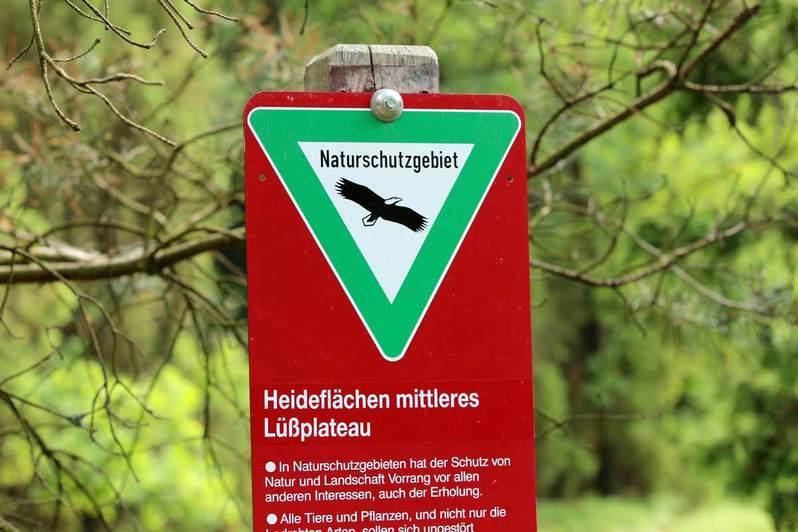 It is located on the left-hand side of the road approximately 1.5 km outside of Lutterloh and is signposted. 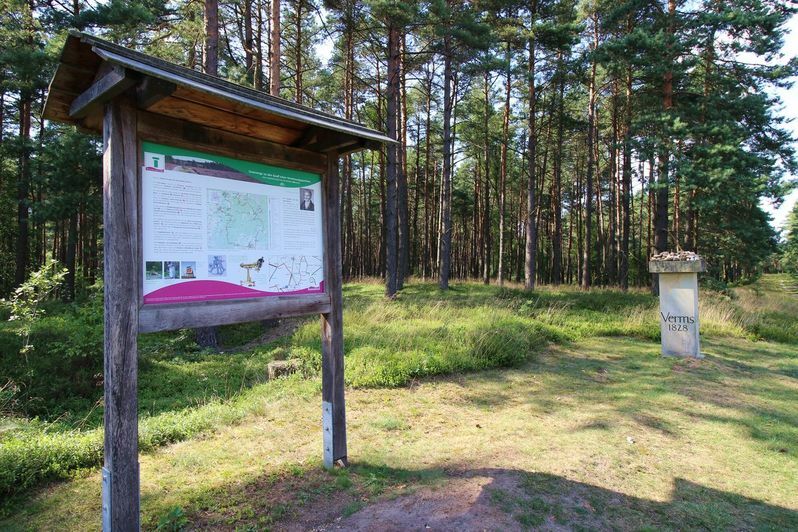 Coming from Unterluess train station on the K17 towards Hermannsburg, you’ll find it on the right-hand side after about 4 km.